There’s hardly anything more linked to a football club than its jersey. Supporters wear it proudly, crest over heart, many considering it a second skin. As such, a jersey is a natural gift and object of desire. Palmeiras have always been rock ‘n’ roll. No coincidence the 101th anniversary was set to AC/DC. And with big names in town, it’s inevitable jerseys swap hands. 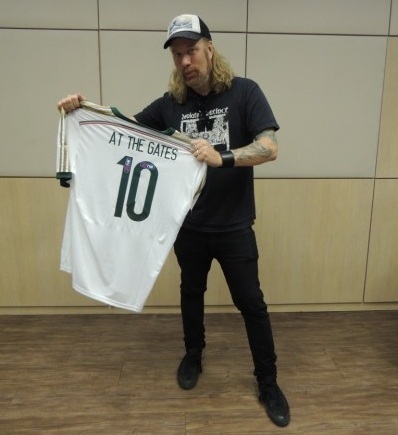 Legendary Swedish death metal band At The Gates ended a long Latin America tour in São Paulo earlier this months, receiving a tailored Palmeiras jersey – the initiative originating from fans and the Academia Store in Tatuapé. Lead singer Tomas Lindberg, At The Gates. Mike Patton, front man of Faith No More, is a Palmeiras fan since the 90ies. “I love this club and the culprits for this are Igor and Max Cavalera [original band members of Brazilian class act Sepultura]. 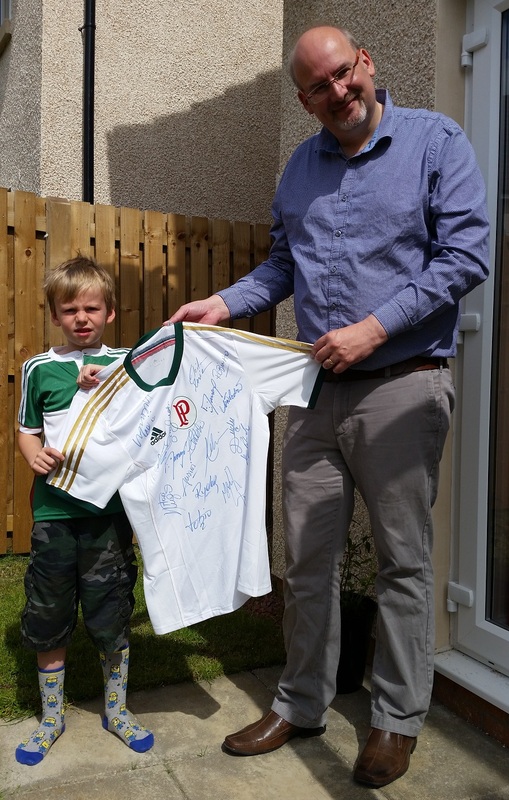 Words fail me, I am very thankful for this present.” he exclaimed upon receiving a jersey, handed over by Palmeiras’ marketing department last Thursday in São Paulo – one of the stops on the band’s Brazil tour. 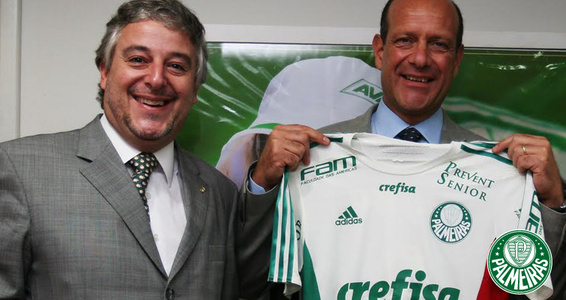 No need to be a rock star though: this week, Italian General Consul to São Paulo, Mr Michele Pala, visited the Sociedade Esportiva Palmeiras. Joined by the Director for Italian Language Mr Augusto Bellon, the two diplomats met with president Paulo Nobre, learnt more about the club and its Italian roots, and each received a jersey. 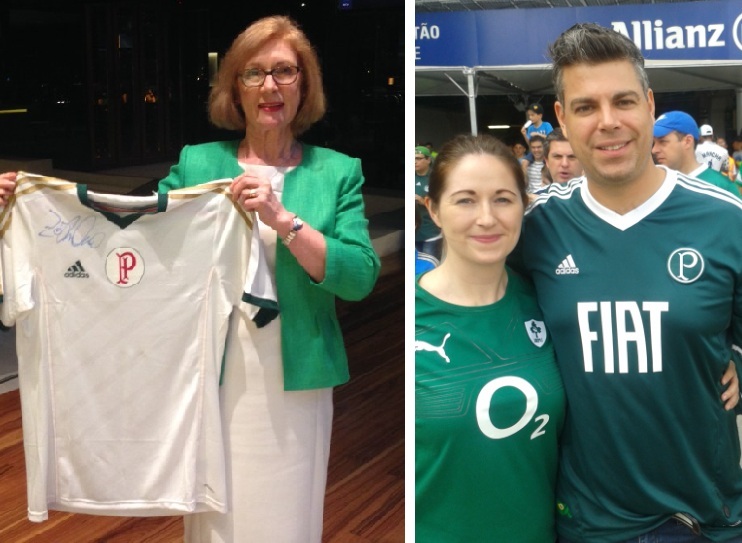 Earlier this year, in March, the Irish Minister for Education and Skills, Mrs Jan O’Sullivan, received a signed Palmeiras jersey while visiting São Paulo during Saint Patrick’s Day. The Irish General Consul, Mrs Sharon Lennon, has been at the Allianz Parque on several occasions, rooting for the Verdão. left: Minister O’Sullivan; right: Consul General Lennon and yours truly. You remember Kevin, the Celtic supporter who in 2012 was escorted out of the Pacaembu by the police, facing the rage of Corinthians supporters for wearing a Celtic top? This summer, I had the pleasure of meeting Kevin and his family for the first time, in Edinburgh, Scotland. With the collaboration of Palmeiras, I could personally hand him a jersey, signed by the squad, and also a jersey for his son Oscar. Kevin, who wants to become an Avanti supporter but for the moment is held back by not possessing the compulsory CPF identity card (it is for Brazilian citizens only), has framed the jersey and hung it on his wall. And that is Palmeiras and the palmeirenses – through acts large and small – winning hearts and minds, making friends all over the globe.